Welcome to the 2019 Recognizing Women in Restoration campaign! This is all about finding and recognizing leading ladies in all positions within the restoration industry! Jump straight to the form! Women are taking on more prominent roles in the restoration industry every year. More women are joining industry boards within the IICRC, RIA and ICRA. They are lending their expertise during the inception of new industry standards. Women are creating a new voice in the restoration industry – and with that voice, they are generating new ideas and ways restoration companies should be run. R&R wants to recognize women who are doing great things within their companies, and making strides within the industry as a whole. Entry forms will not be shared publicly, so we truly urge women not to shy away from filling out a profile themselves. It is okay to be proud of what you’ve accomplished! You have great knowledge and wisdom to share with your peers; don’t be shy about doing so! Women must have at least 10 years of experience in the restoration industry. Women can nominate themselves, or be nominated by a colleague – this year, it’s all right on the same submission form! Include any images, references, and so on you feel will help strengthen the profile submission. 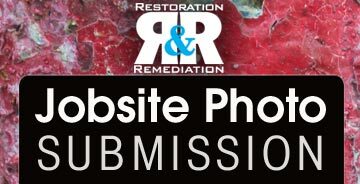 Any woman in the restoration industry can be nominated for this campaign; position does not matter. The only ineligible people are winners of a past Recognizing Women in Restoration campaign. Runners-up may still enter again this year. Questions? Email R&R Editor Michelle Blevins at blevinsm@bnpmedia.com. This year’s entries will be judged again by a panel of industry peers, based on a scoring rubric. The winner and runners-up are determined by adding scores together from the various judges. The award will be presented at the Violand Executive Summit in Canton, Ohio, on June 20-21, 2019. The winner and runners-up will also be recognized in a special section of R&R appearing in the June issue. Click here to see last year’s “Best of the Best” winner, and read more about this campaign! Click here to see “Best of the Best” winner from 2017! Click here to see “Best of the Best” winner from 2016!